Since my sisters Spring Break started today, they decided they wanted to come come spend Thursday night and Friday night with us. Great, I thought. I got a babysitter. So I met two of my girlfriends for dinner and a movie. We ate at Mongos. So good. I hadn't been there in awhile and I forgot how delicious it really was. I'm craving it right now as I'm typing. 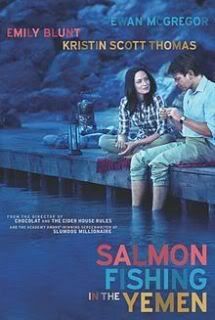 I'm not a fan of fishing, but I loved it. It's a very touching story and I cried at the end. I wasn't feeling the best on Saturday, so having my sisters there helping with Hailey was great. I did get to sleep in on and off until 11:30 am and then we pretty much just hung out all day. With my sisters there I had made big plans to clean, go tanning, go get my nails done, go to Target, go to the Post Office, but I basically got 2 loads of laundry done, and that was about it. Kind of a waste of a day. I ended up going to bed early because I did not want to feel gross on Sunday, too. It's basically the Superbowl for professional wrestling and a holiday in my house. My Husband has loved wrestling forever and does a local wrestling radio show. We had invited people over and had a full house for most of the day. 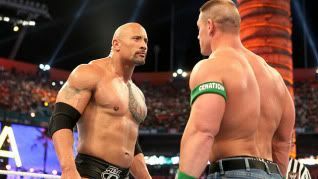 The big match of the night was the "Once in a Lifetime" match with John Cena versus The Rock. I'm not going to explain anything further because if you don't like wrestling, you won't care and if you do like wrestling you already know what happened. So we'll just leave it at that. MGK performed his song "Invincible." Although the actual song features Ester Dean as the female voice, Skylar Grey was there instead. I really like the song. It was John Cena's theme song. Flo Rida also performed. That was pretty cool. I love this song: Flo Rida feat Sia - "Wild Ones"
Can you tell music rules my world? Overall it was a great weekend! How was yours?